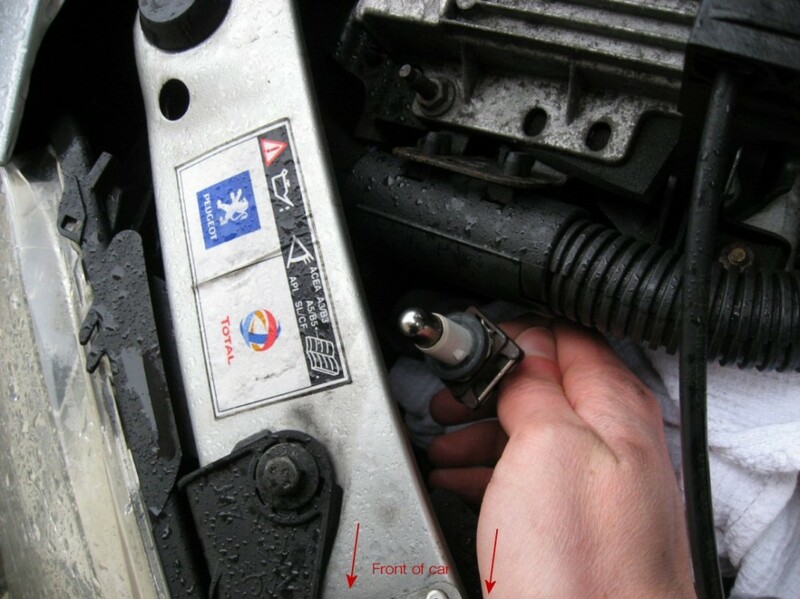 Having needed to change the side light and dipped beam light on my Peugeot 206 today, I looked on the Internet and couldn’t find any simple diagram on how to change the side light (having only changed full and dipped beam bulbs before)… so I thought it would be good to create a simple guide on changing bulbs on a Peugeot 206… though I suspect this maybe pretty similar for other Peugeot’s. This guide is based on the change I’ve just done, which was on the front right bulbs. I’ll try and add fog lights or rear lights as and when I next replace them. 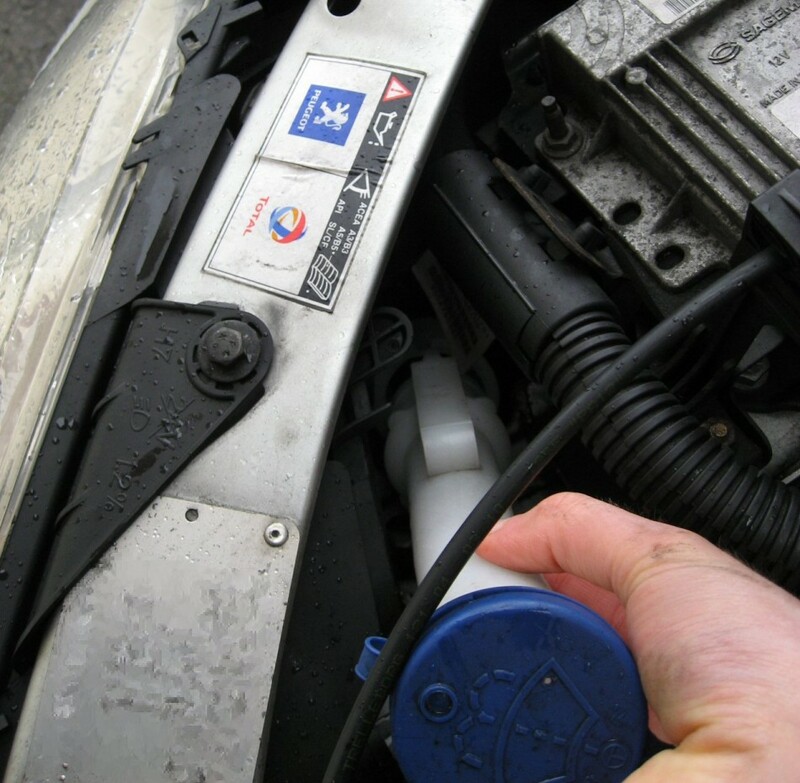 I’ve bought mine from GSF and EuroCarParts in the past, but recently started buying mine online, as the price, particularly for higher intensity ones (for better visibility) seems to be better. 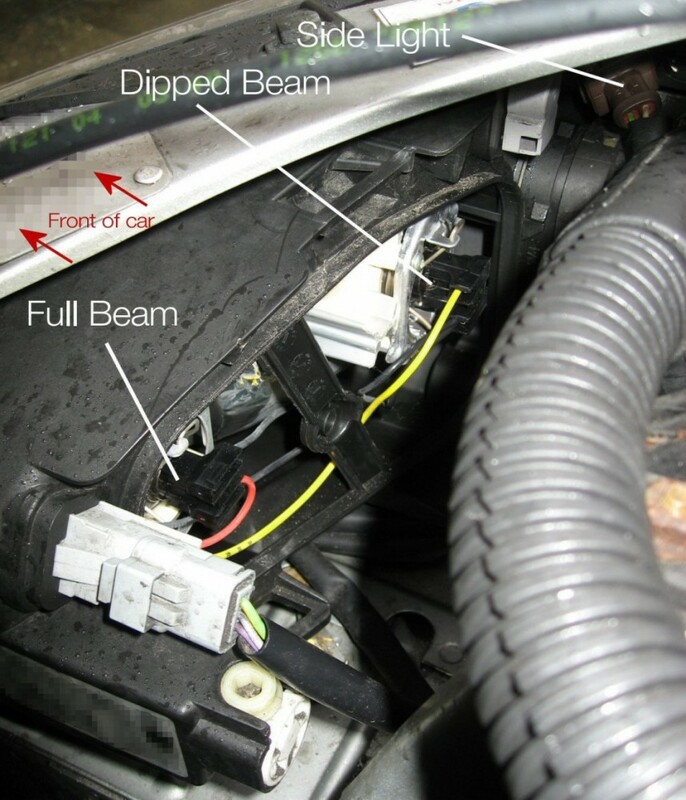 Starting position – I’m replacing the front right bulbs. 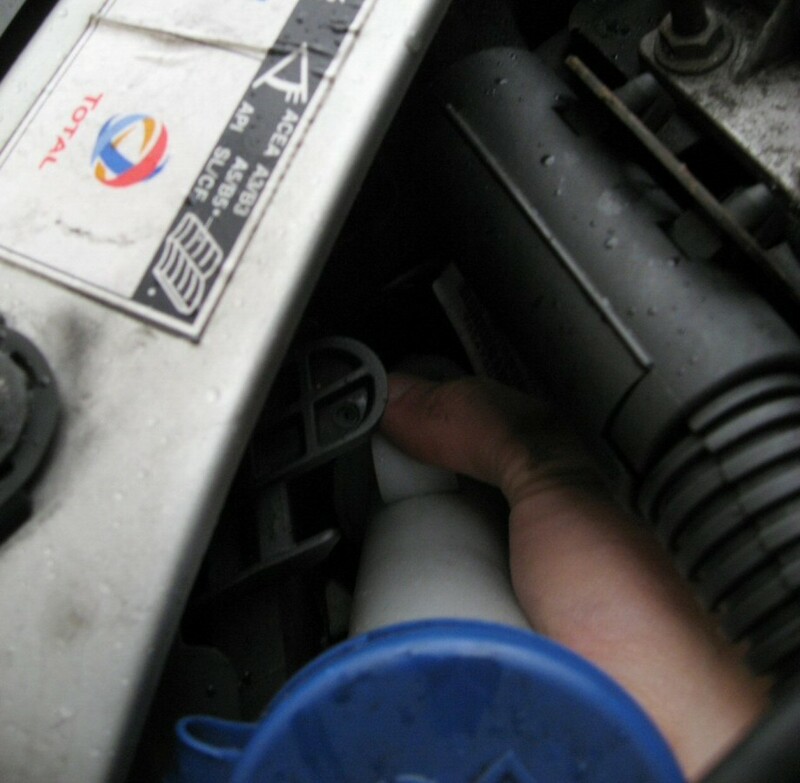 Depress the top, or lift the bottom section of the tab partway down the screenwash filler, pull the filler towards you at the same time. 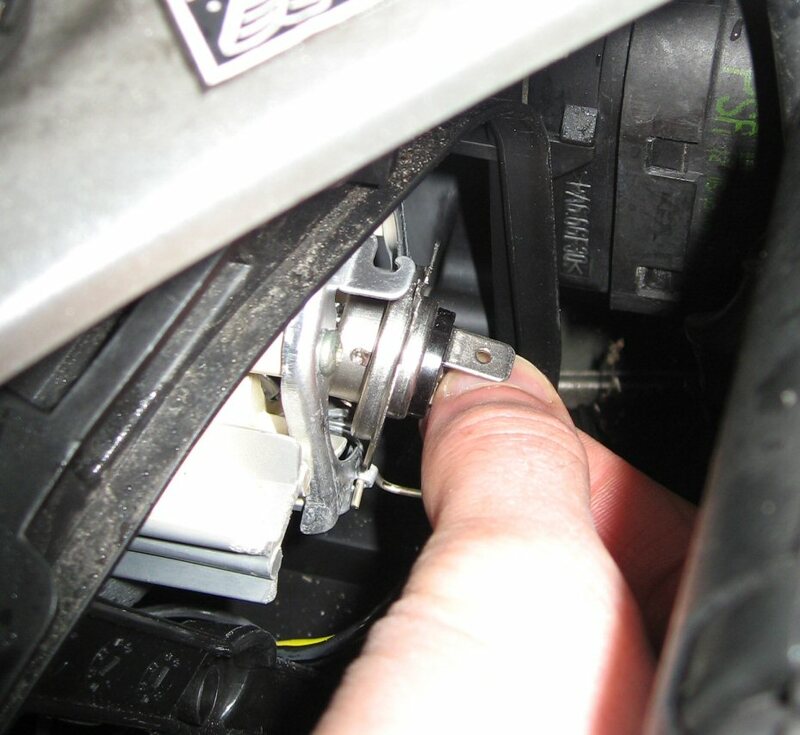 Consider placing a clean cloth in screenwash opening to prevent debris falling in. Now lift the tab up and rock the bulb cover backwards towards the drivers cabin. Cover is difficult to manoeuvre out, I find it comes out best twisting 90 degrees towards the engine. You’re there! 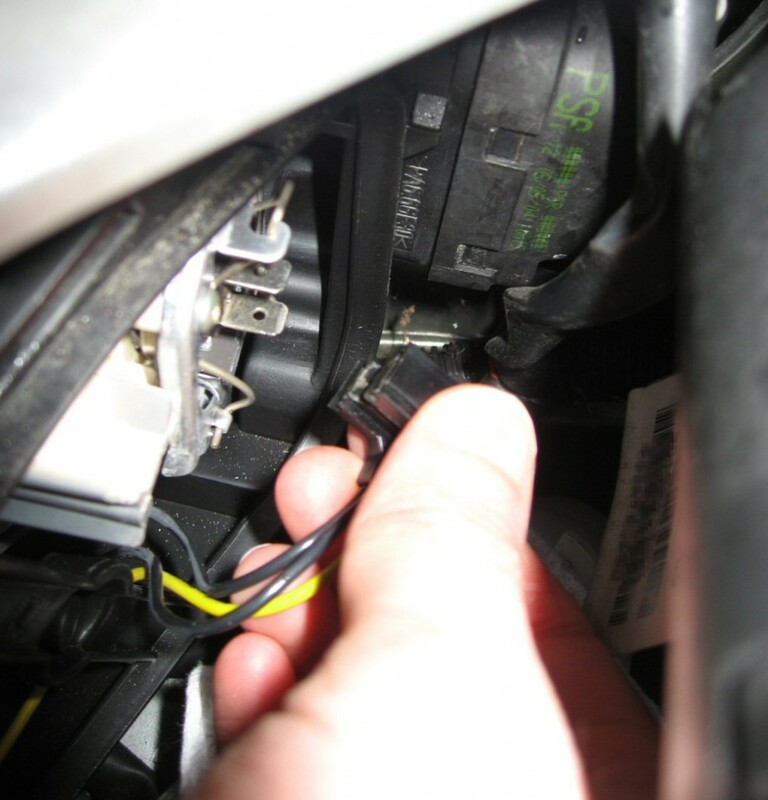 Now you can see the rear of all 3 bulb units (marked in picture). The hinged support should hinge downwards to allow access to the bulb pins. Lift bulb out straight towards drivers cabin (rocked in picture to show bulb). Note the way up of the bulb, a tab on the bulb forces it to only fit one way up (tab upwards). You’ll need to fit the new one this way up for it to fit the bulb support! Grab the bulb bracket and twist it 90 degress (45 degress turned in photo). Fitting should come straight backwards out of the light unit. The bulb sits on the front the removed bracket. Grab hold of the bulb and pull it out. Bulb literally pulls straight out. Push replacement back in. O2 Broadband IP – Dynamic IP is not so dynamic? Maybe even static! Have we lost the plot on privacy? New site shows empty homes ripe for robbing! you are a god send. cheers, fella. Brilliant ! !, thanks for your help. This was epic! Thank you very much! Impossible to do if it’s cold out like today, lost skin and bleeding everywhere. Why do they make it so damn difficult just to change a simple bulb. 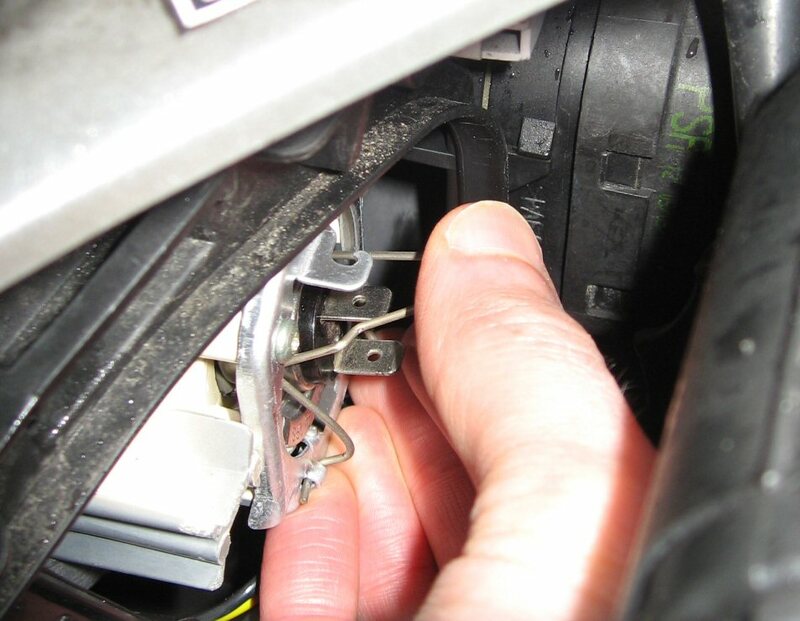 @Brian, I know that feeling exactly… the 206 has been around for so long now, that they’ve found ways to fill every gap it seems in the engine compartment, making bulb changing sometimes a painful (literally at times) experience. That said, once used to it, it can become quite easy… I changed one the other day in evening darkness… took no more than 30 secs from opening the bonnet. That said, I’m bound to have one over winter that will be a painful cold task. Anybody know an easy way to change the front nearside sidelamp bulb on a Peugeot Partner. It’s surrounded by air cleaner, wiring and Fuse Box. Thanks. 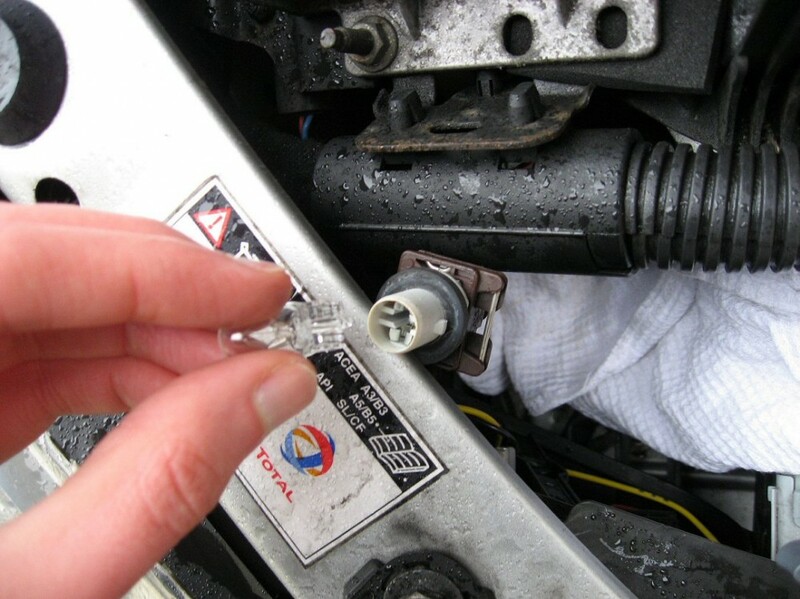 Both my front lights have gone dead, i changed the bulbs no joy, i then changed the fuse, still no joy ? I believe there is a resistor somewhere on that circuit, that could be the cause of the issue. This said, you might want to get it to a garage who can diagnose the cause quicker, and might be able to find the reason any resistor etc.. might have blown. That was great help, thanks. I was just about to unscrew the front covers…could’ve been a big mistake! Thanks fella. It was quite helpful. I bought the same replacements for my headlight bulbs, H7 OSRAM Night Breaker Plus. Let’s hope it lasts long! My 2001 model has a rubber seal backing which comes off after rocking out the electric connector. The hard part is the wire clip. I pushed outwards at the top of the clip on one side and it loosened enough to get the other side off and hinge it downwards. Thanks for your pictures and description. thank you thank you thank you. The world is a happier place due to people like you!!! Excellent. Was dreading changing the bulb with all the things I had read. Then I found this site. Made it very easy. Thanks. Glad to hear the post was useful to you Ray! Took me 10 minutes following your instructions, – bulb cost £3.50. 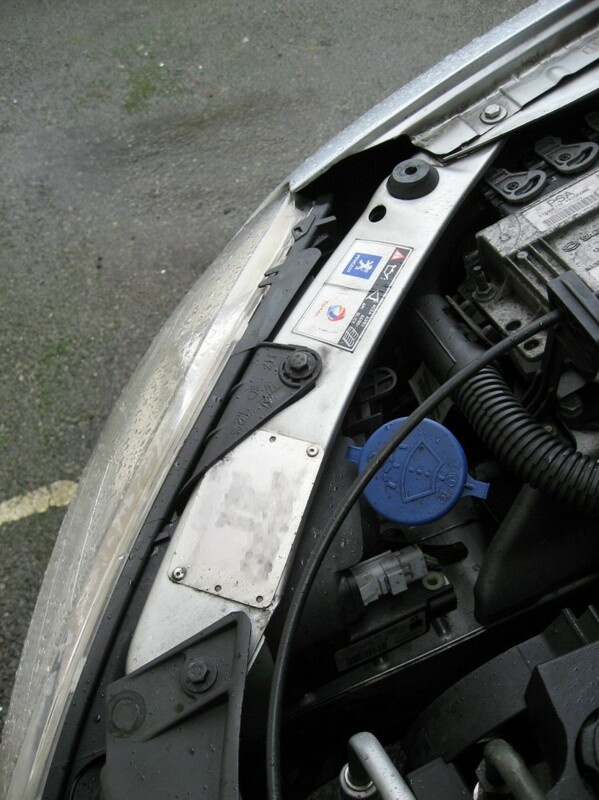 Dealership wants £50 for the job inc VAT – thanks! PS Far easier than the wifes’ 2001 Polo – nightmare job!! 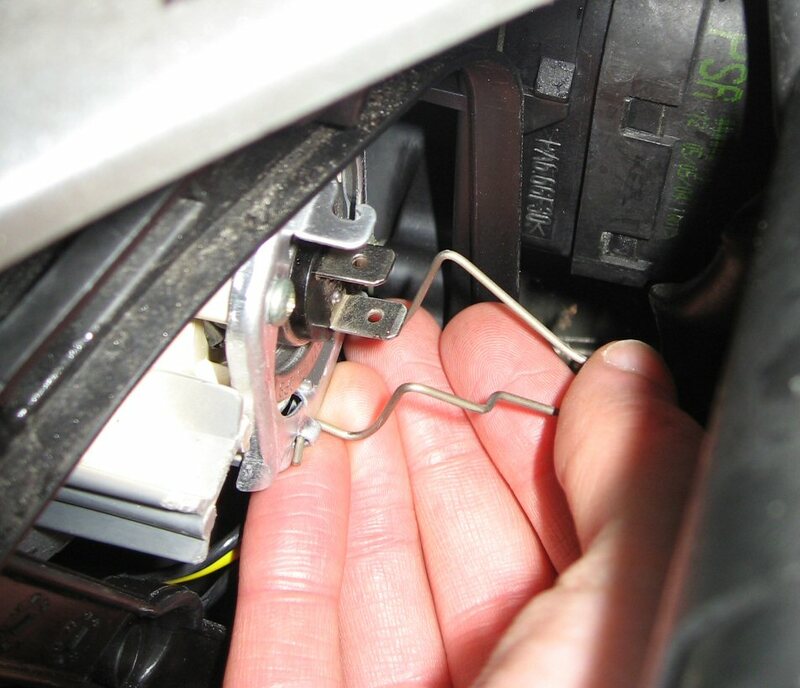 Great guide – but we managed to break the tab of the bulb cover! Does anyone know where we might find replacements and is there another name for the part? Can’t seem to find it anywhere online. If you literally mean the 6″ x 4″ cover that covers all the bulbs, I’d suggest going to a scrapyard. Doesn’t seem something that’s worth buying new in my mind. Many thanks for this guide. Just replaced one of my side light bulbs using your instructions. Don’t understand why the handbook you get with the car is so rubbish in terms of instructions! @Jono: I’ve not had to change a fog light as yet. I believe you have to jack the car up and access through a panel behind the bumper (after removing 2 screws that hold the panel in-place). I’ll try having a go sometime and add a post on it. Well done and thanks for posting instructions – not so well done Peugeot for making a simple task as b****y awkward as possible. Thank you soo much, been trying to work out how to get the water screenwash filler out of the way!! 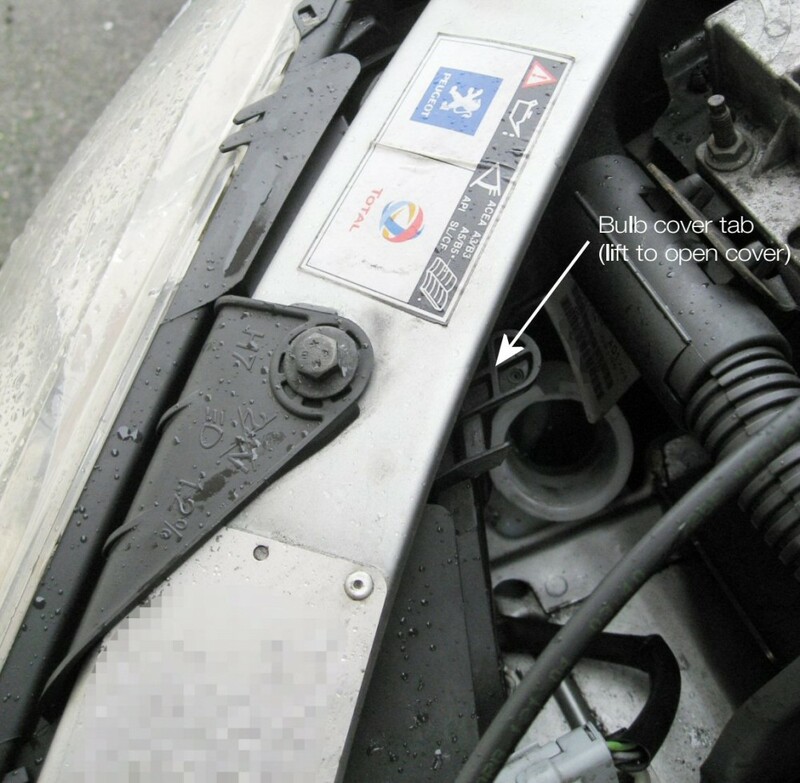 Can you explain how to chnage dome light in peugeot 206. Very interesting, but after reading it I went to Halfords. Guy changed it while I paid for it.I am rather hopeless though. The left hand side (from inside the car) is much easier to replace and takes about 30 seconds. The right side is a little more dificult but once the washer filler pipe is removed then easy enough.To get that off I found just working my hand down the pipe untill I could wiggle it at the bottom worked. Once loose it comes away easily. As you say you need to turn the cover 90 degrees to get it out. Thanks – I just had to change my front right bulb and this was really clear. In case it helps anyone else, my bonnet release was stuck (I pulled the lever and nothing happened) but I managed to free it by bouncing the bonnet up and down while a helper pulled the lever. Worked a treat and saved a trip to the garage. Thaks, you are the best ! Great, 10 minute job thanks to you, did cut my hand but hey it was worth it. I got so frustrated at other tutorials online as I couldn’t figure out how to open the cover and change the bulbs. Not only did I change my bulbs for the first time by myself but I did it all in the dark as well! Thank you! Thanks for the helpful pics and easy explanations. Nice one! fantastic – thanks a million!!! Hi All. 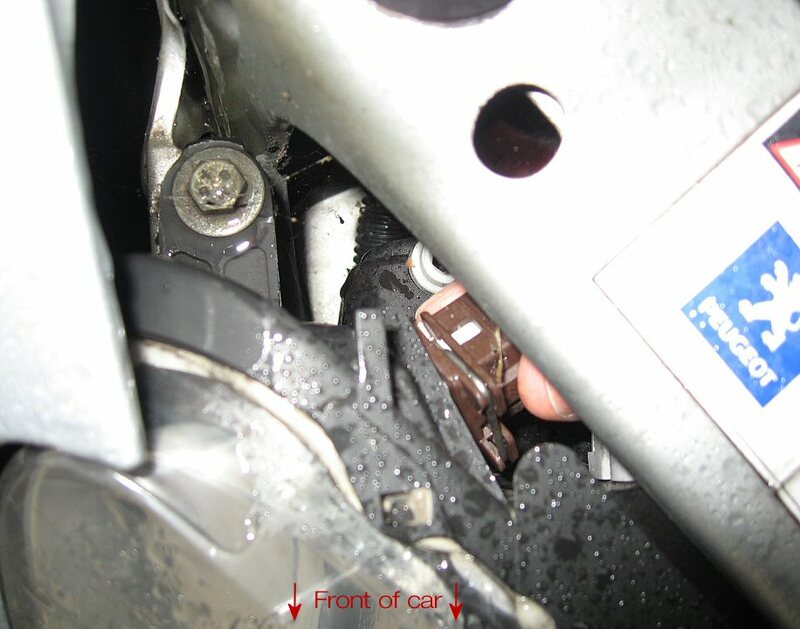 I need to change the nearside side bulb on my 52 plate 206cc and, while reading through this sectiom have taken all advice onboard, I cannot get my hand enough to the rear of the holder to turn 90 deg. There is a metal cross strut making this task harder. Any ideas ? Oh, forget my last … did it eventually. Thanks. Thanks a lot for that. I’ll be doing mine tomorrow. 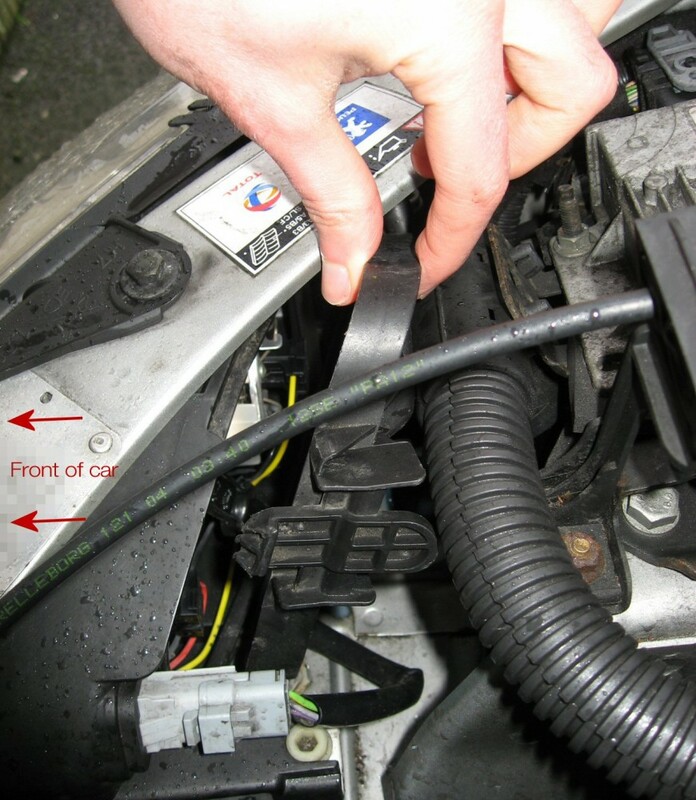 Have you got any steps for doing the indicator lights and also the rear brake lights? breakers wired it together for now. The first site I checked said I had to remove the complete light housing along with part of the grill..WTH!? Thank god I found your site. It took me 10 minutes to do it. Thank you so much!